John Graham: Humanitarian. Partner. Father. Visionary. Born June 21, 1957, in Calgary; died May 25, 2018, in Toronto, of pancreatic cancer; aged 59. John Graham was a lion of a man – in spirit, energy and the way he drew everyone’s eye. Because everyone looked to John. One couldn’t help noticing how he engaged with the world, dedicating his life to humanitarian development work in Africa, particularly Ethiopia. “You knew he was in the room, partly because of his vague resemblance to Richard Branson and partly because of his big laugh,” John’s colleague Thomas Staal said, adding: “John Graham was both compelling and passionate about helping people in need. He combined this passion with action.” Mr. Staal worked with John while he was mission director for USAID in Ethiopia. John was born in Calgary, the youngest of 11 children. His parents' marriage ended in divorce when John was young. Despite the efforts of his older siblings and his mother, it was a difficult time. The acrimonious custody battle was formative for John, ingraining in him a deep compassion for children. John was a brilliant student, and studied history at the University of Calgary. He was fascinated with Africa and wrote his thesis on African economic history. This drew him to the political left and he became quickly and deeply engaged in social-justice work. Leadership roles soon followed in the Canadian anti-apartheid movement and as a volunteer with Oxfam. In 1982, he began graduate work at the University of Victoria and also worked at VIDEA, a Victoria charity that raises awareness of global issues. Here he met Gillian Brewin, his life partner, who became his wife in 1983. While John worked as Oxfam’s local program director in Vancouver, their children, Danielle and Iain were born. In 1988, the family moved to Ottawa, where he took on a director role in the company. Oxfam asked John to continue his work in Africa, so in 1992, John and Gill packed up the kids (aged 4 and 5) and moved Namibia. They moved to Ethiopia a few years later where John ran a program with Save the Children. John’s forward thinking work in Africa would save thousands of lives. When a severe drought hit Ethiopia in 2002, his voice was articulate and persuasive in rallying the United Nations, USAID and the international community to respond. 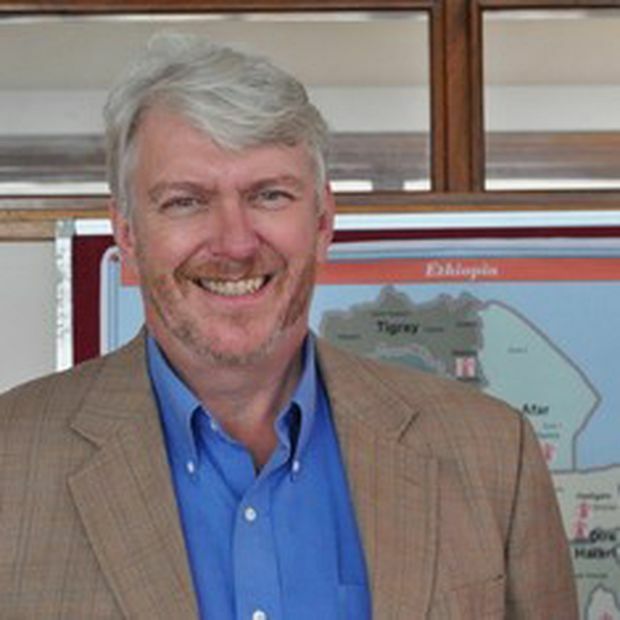 After a decade working directly with USAID, guiding American policy in Ethiopia, John returned to Save the Children as its director in 2015. Danielle and Iain came back to Canada for university and settled in Toronto. Gillian and John made Ethiopia their home for 25 years, returning in 2017, less than a year before he died. Few North Americans knew more about Ethiopia – its history, culture, religion, traditions, politics, geography or way of life – than John. He wrote two books about the country and played a pivotal role in setting up the Ethnographic Museum of Ethiopia at the University of Addis Ababa. After a diagnosis of pancreatic cancer later that year, John spent a great deal of time with Gillian, Danielle and Iain, and his in-laws, writing about his lifetime of work, especially exploring his ideas about how best to change the economic systems that lead to famine. Canada should be very proud of John Graham. Alison Brewin is John’s sister-in-law. Lives Lived celebrates the everyday, extraordinary, unheralded lives of Canadians who have recently passed. To learn how to share the story of a family member or friend, go to tgam.ca/livesguide.